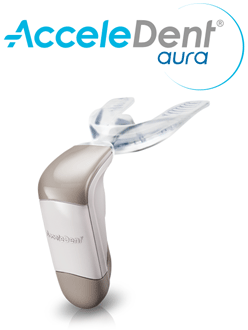 If you live in the Allen area, Kraus Orthodontics can give you a straighter smile with AcceleDent Aura technology. AcceleDent Aura is a revolutionary modern dentistry system designed to give you a dazzling smile in half the time of traditional braces. AcceleDent is the leading accelerated orthodontic treatment. AcceleDent is advanced technology orthodontists use to increase the speed of tooth movement. The patient is given a device with a mouthpiece, and the device uses an activator to send mild microuplses through your mouth. Only trained orthodontists like Dr. Kraus of the Allen, Texas area can offer the amazing new technology of AcceleDent. Our patients can experience shortened orthodontic treatments. 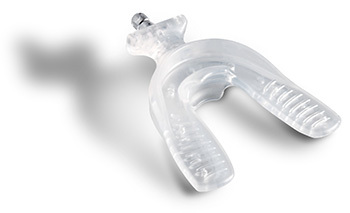 The AcceleDent device is worn for twenty minutes each day. Our patients will find this system convenient and comfortable, giving you an easy orthodontic treatment. You can also continue with other activities while using AcceleDent because you don’t need your hands to use the device. The device will give you a signal after ten minutes so you know you are halfway through your treatment for the day, and it will also shut off automatically when your twenty minutes are up! When AcceleDent is used, the tiny pulses will promote bone remodeling and press your teeth to move faster. You can correct overbites, realign teeth, and treat other problems with the safe, highly effective treatment of AcceleDent! More Comfort | Most patients find AcceleDent much more comfortable than traditional braces. Faster Treatment time | Using AcceleDent for twenty minutes a day cuts your orthodontic treatment time in half, giving you a beautiful, glowing smile faster than other braces! Less Appointments | As a result of shorter treatment time, you will enjoy more time outside the orthodontist’s office with fewer appointments and less time in the orthodontist’s chair. AcceleDent is a newer service, and we are happy to answer any questions you have for us. If you are looking for a convenient, quick solution to straighten teeth, Call our office in Allen, TX to schedule an appointment. You can also contact us here.